A few days ago statistical analytics site Five Thirty Eight published an article explaining why they though Texas senate challenger to incumbent Ted Cruz had a real shot at winning the upcoming midterm election. This is not by some marginal contributor but rather head honcho Nate Silver. So it must carry some wight, right? After all, Silver had a pretty great track record up until 2016, when it turned to just so-so. Maybe 2016 was the anomaly. 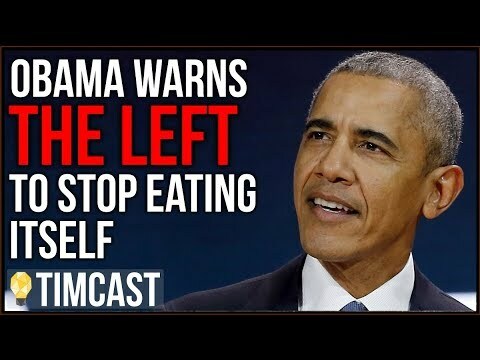 We won't know until November. But here's why I see Silver being wrong. It's not because it's Texas which is definitely a conservative state. It's because when you look at the Real Clear Politics average of polls, and you filter out the registered voters and look only at the likely voter polls through the summer and up to today, there is a clear trend and significant towards Cruz. This is the same approach I took in 2016 indicating that the polling lead for Hillary Clinton over Donald Trump was at a minimum flawed. 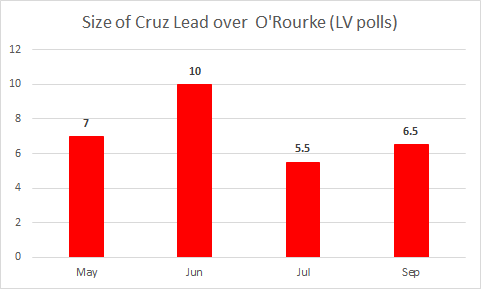 Not only is there a consistency of Cruz leads month over month (Note - there were no Likely Voter polls taken in August) but in addition, the total of those surveyed has increased month over month, thereby increasing the certitude of the results month over month. For example May had 575 people surveyed vs September having 1326 surveyed. That is a consistent lead outside of the margin of error. That is without looking at the sampling review which often include oversampling of Democrats. I'm confident in saying that barring any changes, Ted Cruz is on his way to a comfortable re-election.